Vitamin K Deficiency in newborns, is it really something that I need to worry about? This is the question many parents ask themselves followed by, “Does my baby really need a vitamin k shot?” “What are the pros and cons of letting vitamin K be administered to my newborn baby?” Finding good information on this subject so that you can make an educated choice can be hard. Here is what you need to know. Vitamin K Injection: is it really just a vitamin? When my second born was but a few hours old, I was asked if I would consent to her being administered vitamin K. Thankfully I knew about the study linking vitamin K injection with childhood leukaemia and the hospital where I gave birth had a policy to only give oral drops, so I mistakenly thought that these drops must be okay because they were ‘just a vitamin’, and vitamins are good for you. So I allowed them to give them to her and only later discovered that the manufactured version of vitamin K is anything but just the vitamin. Classic Vitamin K Deficiency Bleeding: This occurs between one and seven days post birth. A baby may bleed from his umbilical cord stump and gastrointestinal tract. Very rarely, he might bleed from his brain. If he has any puncture marks from injections or IV’s he may bleed from those. This type of Vitamin K Deficiency Bleeding is the most common and usually caused by being unwell at birth, for instance, through prematurity, traumatic delivery or failure to breast feed soon after birth. Drugs used in childbirth can interfere with the baby’s alertness and ability to feed and so may contribute to this type of the disease, as may immediate cord clamping after birth. Early Onset Vitamin K Deficiency Bleeding: This occurs on the first day of life and is rare. It usually only occurs if a mother has been on medications during pregnancy, such as antibiotics. If you are pregnant, you should not take antibiotics unless it is a life threatening emergency. Other trigger medications include anti-convulsants and medicines to control blood clots such as warfarin. The rate for early onset Vitamin K Deficiency Bleeding is up to 12% of babies born after a medicated pregnancy. Late Onset Vitamin K Deficiency Bleeding: This occurs between 8 days and six months after the birth. In half of these cases, the baby has an underlying liver disease and is unable to utilize vitamins in his milk. Other cases occur when a breast feeding mother does not have an optimal diet (for instance, not eating green vegetables and fresh foods, consumption of alcohol and junk foods and use of drugs and medications in that mother). You are what you eat and if you eat junk food then your breast milk will be junky. This information was taken from Merck vaccine manufacturer, who also make this injection. Ingredients: Phytondione 2 or 10mgs, polyoxyethylated fatty acid 70mgs (the data sheet didn’t say where the fatty acid was derived from, but one type of oral brand has bovine gall bladder fatty acid in it, so I assume similar here), dextrose, benzyl alcohol and water. Other brands such as the one by Roche Pharmaceuticals, may have varying ingredients. Roche’s also contains hydrochloric acid. Hospira Inc’s version contains aluminum. Warnings: This injection should be administered subcutaneously (just under the skin) because severe reactions including fatalities have occurred immediately after intramuscular (deep muscle) and intravenous injection (via a drip). Those reactions include hypersensitivity, anaphylactic shock, and cardiac and respiratory arrest. Adverse Reactions: Deaths have occurred after intramuscular and intravenous injection, ‘flushing’ sensations, dizziness, rapid and weak pulse, profuse sweating, hypotension, dyspnea, cyanosis, pain, swelling at the injection site, allergic sensitivity, scleroderma like skin lesions that persist for long periods. 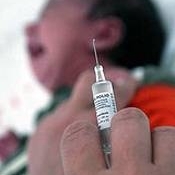 Hyperbilirubinemia has occurred in newborns following the administration of vitamin K injection (jaundice) . This drug has not been tested to see if it is carcinogenic (causes cancer),whether it mutates or if it impairs fertility. It is not known whether it can cause fetal harm or whether it is excreted in human milk. It is interesting to note that vitamin K injections are given intramuscularly even though some manufacturer’s such as Merck say this is dangerous. ‘Benzyl alcohol has been reported to be associated with a fatal “Gasping Syndrome” in premature infants. In 1970, a study was undertaken to see what the risk factors were for childhood cancers. 16,193 babies were studied who had all been born in April 1970. 99 children developed cancer by the age of 10 in the control group and 33 children in the other group. The researchers found that when babies had received vitamin K in the first week of life, their risk of cancer increased three fold. They had not been looking at vitamin K specifically and did not expect to see such an association, so they approached Roche Pharmaceuticals, asking them to do a further trial. They initially refused, until stories about vitamin K and cancer forced them into a corner, and, determined to prove the safety of their product, they began a new study. 588 healthy children and 195 children with cancer were studied. All of these children had been born at one of two hospitals in Bristol. One hospital used oral vitamin K drops and the other used the injection. The researchers found a two fold increase in childhood Leukemia among those who had received the injection and stated that as many as 980 cases of childhood Leukemia were caused by the vitamin K injection every year in the UK alone. Newer studies have been done as recently as 1998 which seem to confirm this. Two studies in the British Medical Journal in that year found that there was a twofold risk of Leukemia among 1-6 year olds who had been given the injection at birth, and that there was a ‘significant risk’ of all cancers after the shot. Some medical professionals question whether newborns are actually deficient in vitamin K or whether in fact this is their normal level. Levels have been described as low due to the comparison with adult levels of the vitamin, but this doesn’t make a lot of sense, since newborns and adults are not compared in other areas. For instance, in weight and nutritional requirements. Drugs are also measured differently with lower amounts given to babies. All babies have this universally ‘low’ level of vitamin K, so surely that would point to it being normal? Normality is based on what is seen in the majority of cases. Perhaps babies need less vitamin K than we do? According to Archives of Disease in Childhood, 1997, a baby given a vitamin K injection receives 300 times more vitamin than is recommended for an adult and has a 9000 times higher blood plasma level. This may be why some babies then develop jaundice, as an overdose effect of the drug. Bilirubin is a natural by-product which is formed during the body’s normal break down of red blood cells. It is excreted by the liver. Jaundice happens when there is an excess of bilirubin and the liver is unable to properly cleanse the blood, i.e. liver overload. As babies receive such a huge dose of vitamin K, combined with other toxic ingredients in the shot, this liver overload isn’t surprising. In turn, jaundice can cause kernicterus (brain damage from high bilirubin levels) and haemolysis (destruction of red blood cells), as reported in journals such as the British Journal of Obstetrics and Gynaecology, 1996. Breast milk undoubtedly gets a bad press in the vitamin K deficiency argument, with doctors and drug manufacturer’s both suggesting that breast milk is ‘too low’ in vitamin K. Just as with vaccines, it is another step to undermine the mother, by suggesting that she is not good enough for her baby, and in ensuring reliance on drugs from birth. There are many other factors to consider, such as whether the baby has fed and how often he has breast fed, what his overall condition is like, whether he has been exposed to antibiotics. Breast fed babies whose mothers ate leafy green vegetables while pregnant, did not get Vitamin K deficiency bleeding. Breast fed babies whose mothers were supplemented with vitamin K tablets while pregnant did not get Vitamin K deficiency bleeding. There are higher levels of vitamin K in colostrum, the baby’s first milk, so it is really important that he gets to drink colostrum as soon as possible. A study in the British Medical Journal in 1992 showed that babies who had unrestricted access to the breast immediately after birth, and who had breast fed before they were 24 hours old, did not get Vitamin K deficiency bleeding. Don’t take medications while pregnant. If you are epileptic and on anti-seizure medication, talk to your doctor to see if it is possible to alter your drugs. Don’t take antibiotics unless there is a life threatening emergency. Eat plenty of leafy green vegetables and fresh foods. Avoid junk foods, and in particular, fats and margarine. Margarine contains butylated hydroxytoluene, which is an inhibitor of vitamin K.
Opt for a natural birth. Drugs in childbirth can make the baby unwell or drowsy, interfere with breast feeding and increase the risk of Vitamin K deficiency bleeding. Say no to a forceps delivery. You don’t have to have them, even in difficulty; there are other ways to help the baby into the world. Delay the cord clamping. Leave your baby attached to his cord until it has stopped pulsing, or longer. Breast feed your baby immediately after he is born. If he won’t feed, keep offering. If he is ill and cannot suckle, ensure he gets breast milk through a tube soon after he is born. If you are considering giving artificial vitamin K supplementation, choose an oral brand rather than the injection. It is less stressful for the baby and it hasn’t been linked to cancer. Check ingredients carefully. Some may contain animal products, phenols or aluminum. 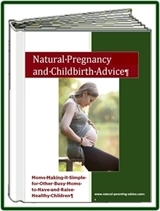 Consider having a natural vitamin K supplement in pregnancy and while you are nursing your child, as this won’t have the same risk of side-effects as the ones manufactured by the pharmaceutical industry. Information on Vitamin K Deficiency Bleeding came from source #1. Merck and Co. Manufacturers data sheet for Aquamephyton vitamin K injection, dated February 2002. http://www.fda.gov/medwatch/SAFETY/2003/03Jun_PI/AquaMEPHYTON_PI.pdf. Roche Pharmaceutical’s Manufacturer’s data sheet, dated July 2006.http://www.betterhealth.vic.gov.au/bhcv2/bhcmed.nsf/pages/rockonmm/$File/rockonmm.pdf. Golding J, Paterson M and Kinlen L. Factors associated with childhood cancer in a national cohort study. Brit. J Cancer 1990;62:304-8. Greenwood R. Vitamin K and childhood cancer. MIDIRS 1994;4(3):258-9. Greer F, Marshall S, Cherry J and Suttie J. Vitamin K status of lactating mothers, human milk, and breast-feeding infants. Pediatrics 1991;88(4);751-6. British Medical Journal, 316:189-193, Jan 17, 1998. Passmore S, Draper G, Brownbill P, Kroll M. Ecological studies of relation between hospital policies on neonatal vitamin K administration and subsequent occurrence of childhood cancer. BMJ 1998;316:184-9. Meyer T and Angus J. The effect of large doses of Synkavit in the newborn. Arch Dis Child 1956;31:212-5 in, Ruby, C. Vitamin K: a historical perspective. MIDIRS 1997;7(3):362-4. New Ethicals Compendium; 3c: 303-304. Hall M. and Pairaudeau P. The routine use of vitamin K in the newborn. Midwifery 1987;3(4):170-7. O’Connor M. and Addiego J. Use of oral vitamin K1 to prevent hemorrhagic disease of the newborn infant. J Pediatr 1986;108:616-9. Hathaway W. New insights on Vitamin K. Hematol Oncol Clin North Am 1987;1(3):367-379. Golding J, Greenwood R, Birmingham K. et al. Childhood cancer, intramuscular vitamin K and pethidine given during labour. BMJ 1992;305 (6849):341-6. Henderson-Smart, D. Giving vitamin K to newborn infants: a therapeutic dilemma. MJA 1996;165:414-5. Written by Joanna Karpasea-Jones and first published in The Mother Magazine. You can also read it here: Vitamin K Does Your Baby Really Need It?